-4 picks are awarded from the 8 Golden Lotus revealed. 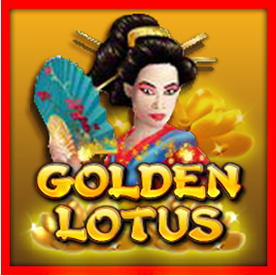 -Each Golden Lotus selected will award up to 100 times the triggering bet, or 5, 10, 15 or 20 free games. - During these free games, all White Lotus symbols are changed to Golden Lotus or Logo. - The feature can be triggered. Free games are player at the lines and bet of the triggering game. -Bonus by each bet line begins on the left side, but does not include (White Lotus). - Scattered wins are multiplied by bet per line. -8 free games are awarded when 3 or more scattered White Lotus appear anywhere. -During these free game, all White Lotus symbols are changed to Golden Lotus or Logo. - During each of these free games a price multiplied of x3, x4, x5 will be revealed at the top of the screen. - The feature is retriggered whenever any 3 or more Golden Lotus appear anywhere. - Free games are played at the lines and bet of the triggering game. -Progressive Jackpots can be won at the conclusion of any gams. -The Jackpots are triggered at random. -Progressive Jackpots wins are added to another wins.